Major investors are losing almost half of their assets. Major investors at the Bank of Cyprus are being stripped off half of their assets to prevent the crisis struck country from going bankrupt. 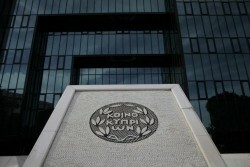 The compulsory tax for bank deposits above the amount of € 100,000, which was agreed on in March with international creditors, will come at 47.5 percent government spokesman Victoras Papadopoulos announced yesterday.